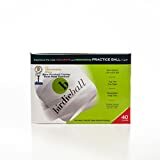 Birdieball 12 Pack & StrikePad Set Introducing Birdieball, the limited flight practice golf ball that you can hit anywhere. Its the best golf training aid invented this century. What's so unique? It has a limited distance of 40 yards but it feels and flies just like a real golf ball. It draws, it fades, but with a limited range so you have your own backyard driving range. BirdieBall's heavy feel and accurate flight is truly amazing. BirdieBalls are made of a super polymer and will not break. The StrikePad allows you to hit a Birdieball anywhere. The StrikePad is quite simple. It is a cambered, flexible polymer spring. It saves lawns and parks from damage. It protects clubs from damage caused by rough mats or the ground. It reduces jarring of arms and shoulders at impact. Beginning golfers can easily square the club and cannot hit the ball "fat". StrikePad simulates taking a divot and rebounds in the blink of an eye. It can be placed on any surface including asphalt, concrete, dirt or grass. Further, the StirikePad does not need to be anchored in place. StrikePad does not grab the club and has very little friction. As a result the club slides freely and leaves the pad in place. If you have any questions about this product or would like to order by phone, please call us Toll Free at 888-733-8383. We look forward to hearing from you! BirdieBall Night Light Series BirdieBall, Photo Lumi, Night Light Series Are Unbeliveable!!!! O.K. so you are amazed by the BirdieBall right! This advancement will blow you away. The BirdieBall, Photo Lumi Series changes night into day by allowing you to play BirdieBall on even the darkest night! You've seen glow-in-the-dark products, and you were not impressed...LAME. This is not glow-in-the-dark, this is light-up-the-night! 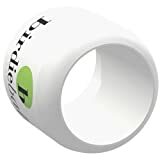 Based on the latest in photoluminescence technology, once you have ignited the light it stays lit at a very high level for up to twelve hours. THATS ALL NIGHT! You will be exhausted far before the light is exhausted. The photo lumi cell is ignited (by bending) and inserted into the axis of the BirdieBall. Once this is done get ready for twelve hours of big fun. Three colors of photo lumi cells give you green light, red light and yellow light. Play any of the multiple BirdieBall golf games right in your back yard. Each ball comes with a replacable photo lumi cell, green, yellow and red. 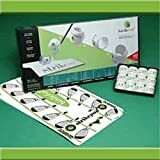 Sleeve of Three Photo-Lumi BirdieBalls and Three Replacement Photo Cells, make this night fun golf that you have been waiting for since you first started swinging a golf club. You will truly be amazed by the amazing, bright comet like trail. Introducing Birdieball, the limited flight practice golf ball that you can hit anywhere. It's the best golf training aid invented this century. What's so unique? It has a limited distance of 40 yards but it feels and flies just like a real golf ball. It draws, it fades, but with a limited range so you have your own backyard driving range. Birdie Balls heavy feel and accurate flight is truly amazing. Birdie Balls are made of a super polymer and will not break. The Strike Pad allows you to hit a Birdie ball anywhere. The Strike Pad is quite simple. It is a cambered, flexible polymer spring. It saves lawns and parks from damage. It protects clubs from damage caused by rough mats or the ground. It reduces jarring of arms and shoulders at impact. Beginning golfers can easily square the club and cannot hit the ball "fat". Strike Pad simulates taking a divot and rebounds in the blink of an eye. It can be placed on any surface including asphalt, concrete, dirt or grass. Further, the Strike Pad does not need to be anchored in place. Strike Pad does not grab the club and has very little friction. As a result the club slides freely and leaves the pad in place. Birdieball 12 Pack Introducing Birdieball, the limited flight practice golf ball that you can hit anywhere. It?s the best golf training aid invented this century. What?s so unique? 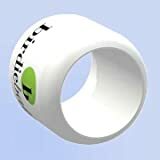 It looks like a "napkin ring" yet flies exactly like a golf ball. It has a limited distance of about 40 yards. Hit the Birdieball back and forth. It spins exactly like a golf ball, it is heavy, it draws, it fades, it is practice, and it is fun. Birdieballs are made of a super polymer and will not break. If you have any questions about this product or would like to order by phone, please call us Toll Free at 888-733-8383. We look forward to hearing from you! Birdie Ball is a limited flight practice golf ball without limited feel. True feel with a long hang time, golf ball-like, trajectory! But it only flies 40 yards, so you have your own backyard driving range. Take a full swing. Draw it Fade it. Birdie Balls won’t break like perforated practice balls or wiffleballs. Improve your ability to control a real golf ball.